(also applies to iPhone 4/4S, IPHONE 6, etc.). 2. Base from the clamping arms 46-120MM. 3. 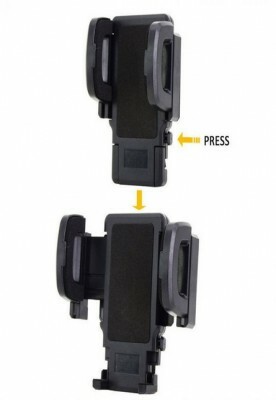 Can be rotated, horizontally heel arbitrary, convenient and quick installation. 4. 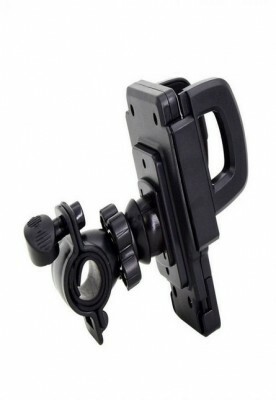 Double sponge bicycle handlebar clamp perfect protection from scratches. 5. 100% brand new and high quality. 6. Suitable for iPhone 6 6s 5s 4s Samsung Galaxy S6 S7 HTC ZJ53 mobile phone . 7. Used to hold mobile phone, and can rotate for 360°casually. 8. High quality ABS material can be stable and durable, stainless steel hex screws fixation can be safe and firm, anti-theft. 9. 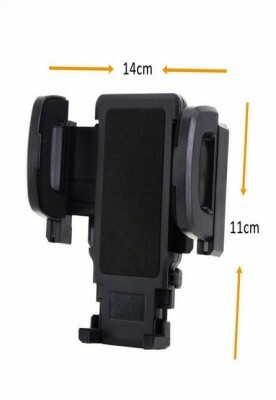 Stable and convenient to use, contact area can protect your mobile phone, no scratch and slip, double fixation design can be anti-shock. 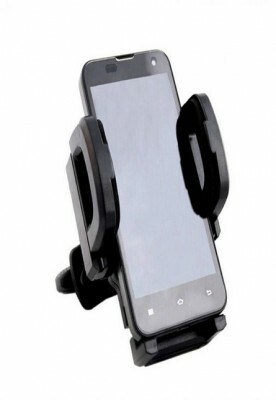 1 x Bicycle Mobile Phone Holder"